NSW Coaching Roles Wes coaches Distant Athletes online, runs a weekly training session locally in Bathurst, offers group training sessions and regularly assists Brendan coaching at weekend group training sessions and multi-day camps. 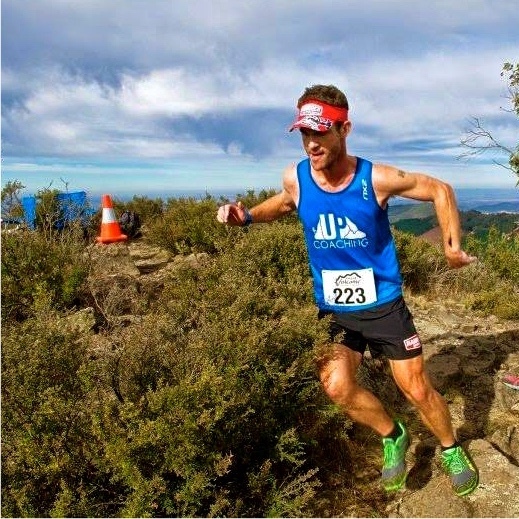 Coaching Specialisations Mountain Ultra Trail Running, Road Running, Strength and Conditioning and Injury Rehabilitation. Wes works with beginner through to elite athletes and has over 3 year’s experience working at UP Coaching. Profile Wes is a secondary PD/H/PE school teacher based in Bathurst NSW and a high-performance trail runner. Wes is an experienced trail runner who is continuing to climb the rankings. Since breaking through with a 4th at TNF50 in 2013, Wes has regularly appeared on the podium of many trail races of varying distances. Wes values the element of versatility as an athlete and often competes on the road too, with a Marathon PB of 2h 56m and a Half Marathon PB of 1h 15min. “As a coach, I believe that my role is assisting my athletes to develop to their potential. I apply sound principles focusing on all components of fitness, specific athlete goals, individual strengths and weaknesses to my athlete’s program, aiming at giving each runner the best opportunity to run both happily and successfully. Knapsack 3hr Pairs 2nd (1st Mixed Team) 8 laps. Wes’s blog, For The Run Of It, is a great read.